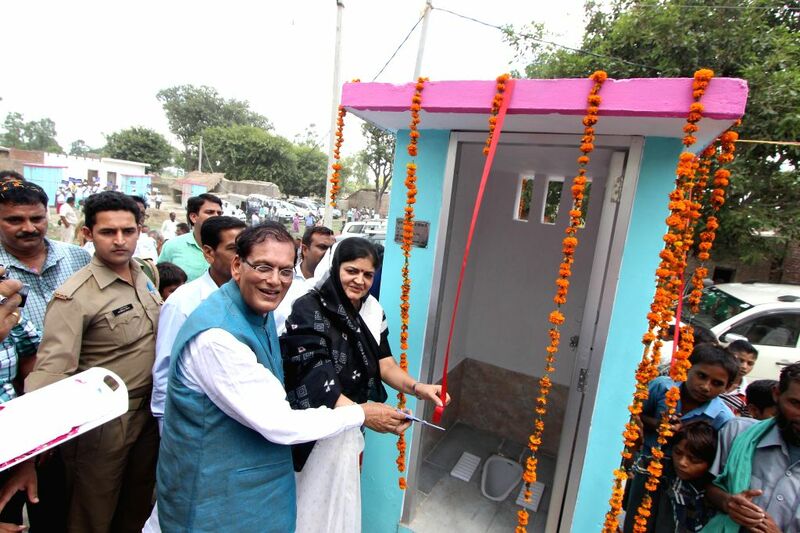 Founder of Sulabh International Dr. Bindeshwar Pathak hands over a toilet built by the organisation at Katra Sadatganj village of Uttar Pradesh's Budaun district to the people on Aug 31, 2014. Two minor girls were allegedly gang raped and murdered in the village, in May this year while they were going to relieve themselves in the fields at night. Sulabh International has constructed 108 toilets in the village as part of its `Toilet for All Homes` campaign.